What are Google Places for Business? How it connects Local Customers? According to Google, 97% of the customers look for local businesses online. Another fact has it that 73% of online activity is related to local content. Since Google is the only search giant that boasts of a 66% share in the market, we can only assume the facts are true. But true or not, they must be based on some sound basis, which is good enough for me. Now this throws new light on how important online promotion can be for small local business. Google helps such local businesses by providing them a way to reach out to their customers through Google Places. Previously, we talked about how Google Pages help promote businesses. Today, it's all about Google Places. Formerly known as Google Local Business, Google Places aims at drawing local business towards Google to promote their services, since Google is the search giant and most people search on Google. Hence, this is a great opportunity for business owners to promote their services n Google and attract more customers. People are always looking for great places they can go to for having dinner, buying jewellery, dry cleaning, and so on. Most of these people search on Google. So what better place to promote your local business? According to Google, Places are "a web page for every place in the world, organizing all the relevant information about it." So in essence, Google Pages represent a business online, with its information and location on Google Maps, other people's opinion about the services, reviews, and more. Previously, Google used to pull the reviews from other third-party websites. But now, reviews are present exclusively from Google. See how Google is trying to integrate all of its products together? How is a Google Place different from a Google+ Page? A Google+ Page is like a Fan Page. You can follow them to get latest updates. But Places are slightly different, although they are integrated into Google+. For a Place, there must be a location. On a Place, you can write a review there or look for directions. Here is a sample Place for a KFC outlet near where I live. It helps me see where the outlet is located, what route to it would be best, what do other people who have been there say, and so on. If I don't like it, I can write about my bad experience in a review. Here are some of the businesses that benefited from Google Places. See how different Places are from Google+ Pages? 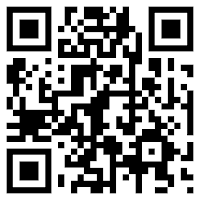 If you are a local business owner looking to sign up, it is very simple. You just need a Google Account. If you already have one, then go to Google Places and log in. You will be asked a series of questions, such as your country, phone number, business name, etc. Submit all your information from basic info to photos etc. Also, verify your listing by phone or post card. Once verified, Google will show your listing after some time. Once your Place is set up, you should fill out all the relevant information. Information such as your service areas, your operating time, categories i.e. what sort of business do you have, payments etc. The more complete the information is, the better it is for your business. Not only will customers find your business easily, you will be ranked higher in your respective category. Remember; a complete profile is always favored over an incomplete one. Based on the information you provide Google, such as email address, your phone number, business name etc, Google will crawl the web and find relevant information regarding your business. For example, if you already have a brand page for that business, then that page will be associated with your Place. Additionally, Google will fetch any reviews provided by other people, and all of this will be linked to your Place, visible for all to see. There are various features and advantages you'll get if you create an online presence for your business. I hope you already know how important Google+ is for businesses, online or otherwise. This is much the same. As I mentioned at the very beginning, 97% of the customers look online for information on local businesses. And since 66% of the total searches in the world are made through Google, that means around 64% of the world's customers look up local businesses on Google. So one thing is for certain. Local business owners can extend their exposure far beyond the pedestrians walking by their shop. 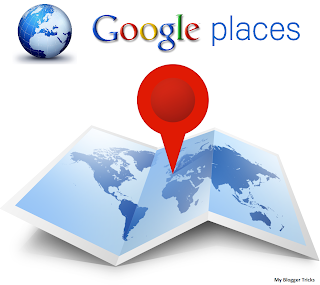 Google Places allows you to define service areas for your business. So service and home based businesses are the beneficiaries here. Let's say you have a pizza shop that delivers pizzas within Manhattan. So when people living in Manhattan look online for a good pizza place to go, or to order pizzas from, they'll come across your business. They can then call you and place an order. Thus, you get an immediate advantage over your competitors who don't have a presence on Google Places. Google is also offering free business photo shoots in some select cities. You can upload your own pictures of your business, but you can also request a free photo shoot. Google photographers will come and take their own photos of your business' interior as well exterior using panoramic and fish-eye lenses, something business owners might not be able to do themselves. This way, your Place will gain more credibility. Google also gives you the option to get your listing stand out by paying $25 per month. This could greatly increase your chances of success. Google provides a lot more features business owners might be interested. Many businesses spend a lot of money in their advertising campaigns. But very few realize that they can achieve far greater success through this free service. Google is really trying hard to influence individuals as well as large businesses, all to create a seamless experience for the average Google user. And I must say, it's doing a really good job. After all, it isn't the leading search engine and the largest Internet company for no reason.